We all know that feeling: You're someplace where you don't want to be anymore. You don't know how you got there, not really. Life just carried on, and suddenly a word is on your brain every day, every hour: escape. The road becomes a beacon, a shining strip of asphalt that leads to the greatest currency one in such a state can seek — a startling shift into the unknown. The road is a way out of bad love, bad drugs, or bad decisions that haunt you at night. And it is every bit as romantic as it is mysterious. On his debut LP, Bear Country, Justin LaPoint celebrates the art of the escape as he ruminates on fleeing a bad scene. The title track sets the precedent: LaPoint looks at a city, knowing it's time to go. The song starts as an almost washed-out lament before a shuffling beat kicks in like a ticking clock. You can all but see LaPoint staring out his window, ready to run, as he declares, "They'll take my body, but they'll never take my soul." Bear Country vacillates between fresh and emotionally present to frustratingly predictable. "Dead Man Walking," featuring some sinister fiddle by Caleb Elder and has all the good qualities of LaPoint's music on display but lacks the originality of the opening track. As LaPoint goes for that Satan-in-the-country vibe, the song feels like, well, a lot of other songs — namely, Blitzen Trapper's "Black River Killer." To be clear, LaPoint never sounds like he's ripping anyone off but occasionally seems to put on other people's jackets at a party. "Drive" picks the gauntlet back up and finds the record hitting its stride. Piano saunters in and gives the song the warmth of a '70s sitcom, all smoke billowing through sunlight. This time LaPoint has a partner in his exodus. He sings, "Put my picture on the shelf / I'll pretend I'm someone else / And I'll meet you in that parking lot where my mind used to rot." The lack of affectation in his voice does wonders for his singing. A lesser, or perhaps less original, singer in this genre might opt for a twang. But LaPoint's voice, which lives in the neighborhood of Iron and Wine's Sam Beam, remains free from cliché phrasing and tones. The supporting cast on Bear Country shines. Producers Yasmin Tayeby and J. Luke Young deliver a crisp, nuanced sound — and supply excellent harmonies as backing vocalists. Trey Anastasio Band and Soule Monde drummer Russ Lawton lays down tasteful percussion throughout the record. Other local heavyweights lend their talents to the record in a show of faith and support for a strong debut. As it is a debut album, there are still some treading-water moments. They are fleeting, though, and LaPoint delivers an emotionally thematic record with true promise. 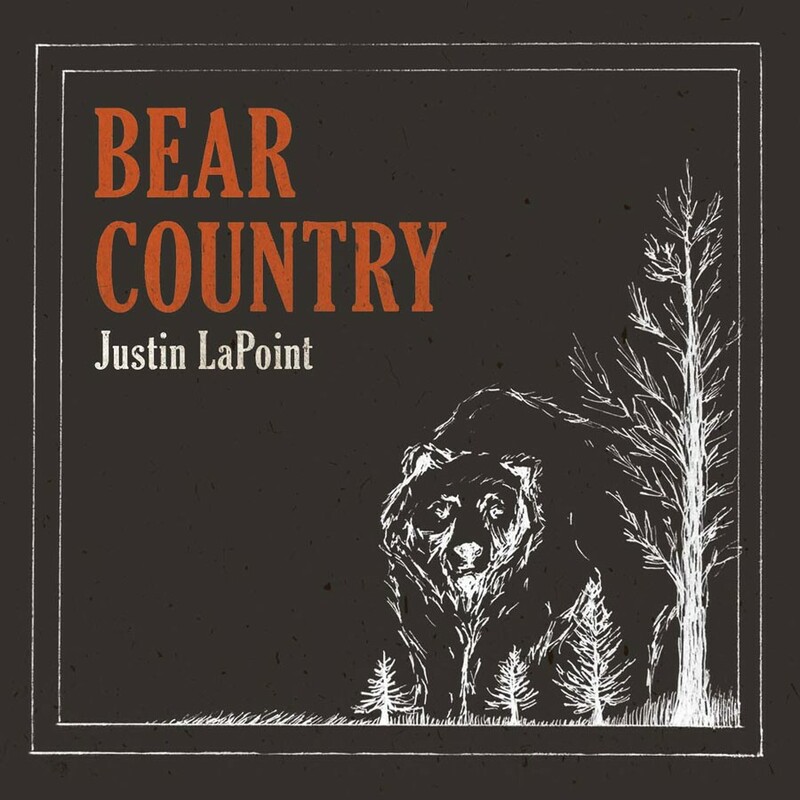 Bear Country by Justin LaPoint is available at justinlapoint.bandcamp.com. LaPoint plays on Sunday, October 8, at the Stone Corral Brewery in Richmond.